It is my privilege to have performed several times with Thomas Crawford, the Artistic Director and Founder of the highly acclaimed American Classical Orchestra and at the forefront of American conductors championing historically accurate performance styles in Baroque, Classical and Early Romantic music. Originally from Harrisburg, Pennsylvania, Mr. Crawford holds a Bachelor of Music in composition and organ performance from the Eastman School of Music, where he studied choral and orchestral conducting under Samuel Adler. After graduation, he studied with Hugo Fiorato, then the conductor of the New York City Ballet Orchestra, and earned an M.A. in composition from Columbia University. 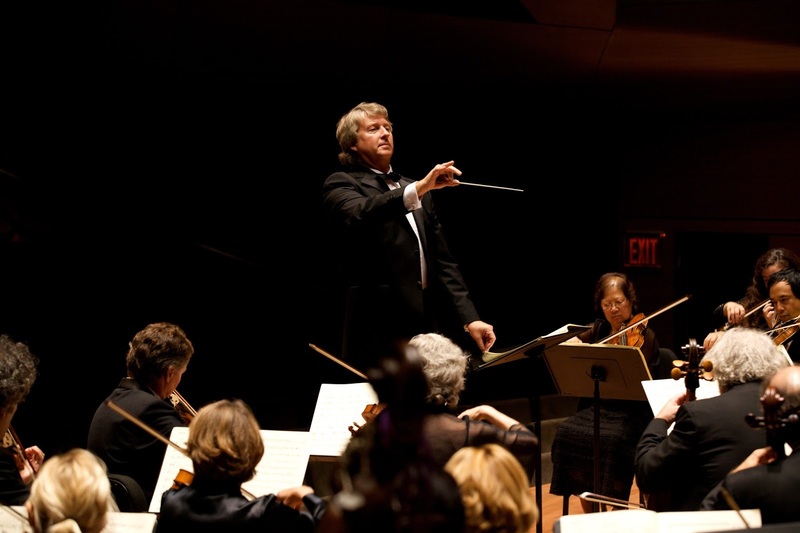 During the 1980s, Mr. Crawford founded and led two Connecticut orchestras: the Fairfield Orchestra and the Orchestra of the Old Fairfield Academy, which featured internationally-recognized period musicians. In 1999, he renamed the latter as the American Classical Orchestra. Through his work with these orchestras, Maestro Crawford has attracted top guest artists and produced recordings with, among others, the great American pianists Malcolm Bilson and Keith Jarrett. 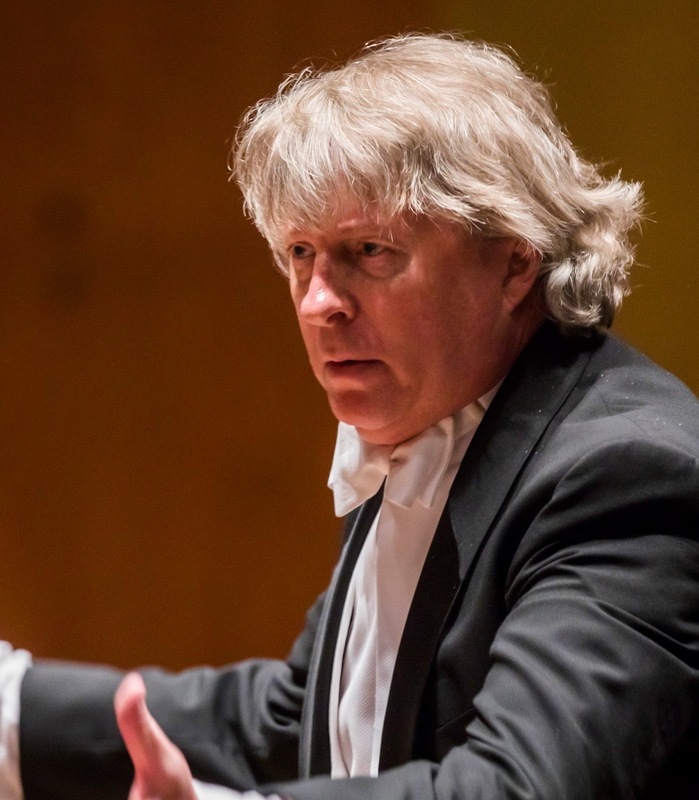 As a passionate activist determined to bring the beauty of period music to a wider audience, Thomas Crawford is additionally recognized for the orchestra’s dynamic music outreach to New York City schoolchildren, and for his lively and informative pre-concert talks. STEPHANIE CHASE: Would you describe your path towards becoming a musician? THOMAS CRAWFORD: My father was an amateur musician and both my parents loved music. I started music lessons at six, after noticing that I had goosebumps listening to certain music. I was first a rock musician, then turned to jazz, all the while getting classical training. STEPHANIE CHASE: I’m surprised by the rock background – on the other hand, I listened to a lot of it when I was a kid! THOMAS CRAWFORD: True confessions, I still listen more to rock than classical. STEPHANIE CHASE: And I have a current earworm – “The Man” by The Killers! THOMAS CRAWFORD: By the time I enrolled in the most rigorous conservatory, Eastman, I was eager to pursue a career in music. As a composition and organ major in college, I received much recognition at an early age via prizes and commissions. This gave me great additional encouragement. Always, whether going through growing pains or life's challenges, my deep love of the music vibrations never wavered, to this day. STEPHANIE CHASE: That is one of the great rewards of music, that it is so personal and that we can develop lifetime relationships with a work and still be inspired to search further into its interpretation. How would you define “original” or “period” instruments, and what first attracted you to this performance style? THOMAS CRAWFORD: Something in me has always favored the authentic, the original, the source experience. At Eastman, I happened to be a student at the time when the authenticity movement was thriving in Europe. My organ professors were among the first in America to explore baroque articulation techniques. As a student who had grown up playing all literature in the same style – late romantic, that is – and a composer myself, I was instantly aware that these historical discoveries were much closer to the composer's world. For example, we scrapped most of our electric action pipe organs to replace them with mechanical action instruments so that the player has more physical control over the keys. 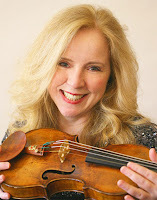 STEPHANIE CHASE: I have a cellist friend who describes it as the composer’s “sound world.” And it seems as if your jazz background, with the emphasis on improvisation, might have contributed to the appeal of Baroque music, which encourages improvised ornaments. What are some of the unusual issues that you as Artistic Director might encounter with a period-instrument orchestra? THOMAS CRAWFORD: Working with players and singers who are devoted to the passion and education of historical performance practices is a joy from start to finish. As a conductor of such an ensemble, so many of the competitive problems one experiences with modern instruments are not applicable. It “just works.” The blend, the balances, the textures, all these things must be adjusted and negotiated with modern instruments because these instruments evolved without regard for how their advancements might compromise their compatibility. Period instruments are more organic, coming from the same era, the same needs, the same goals of blending. Players therefore come to the music with the tools, their instruments, and the mindset, their training, to work together in ways that I have never experienced with modern instruments. It is a more collegial environment in which to make music of the past master composers. No one has to overplay, to compete for musical space. STEPHANIE CHASE: I agree with you about the musical balances being as the composer intended, without effort. For example, I remember being at the Marlboro Festival and playing a Haydn trio with Rudolf Serkin. I was honored and inspired to play with him, but it was a real strain to make it as large-scale as he wanted! I find, too, that the lower pitch of the historic instruments contributes to a sense that the music is really breathing; there is literally less strain on them. THOMAS CRAWFORD: I am probably unusual among period instrument conductors in that for twenty years I was Music Director of the Fairfield Orchestra, a cracker-jack modern ensemble that commissioned new music and engaged superstar soloists the likes of Yo-Yo Ma and Itzhak Perlman. These great musicians were playing on modernized Stradivari instruments, so our conversations at rehearsal breaks were quite interesting! In the early days, many modern instrument establishment players eschewed the use of period instruments and rejected restoring their own strings to the original set-ups [principally gut]. The movement has progressed steadily since then, however. Now, most every major city has a period orchestra and most music schools have full degree programs in historical performance. It has been a wonderful time to be on the forefront of all this artistic freedom. STEPHANIE CHASE: I’m going to follow up on this a bit later, but for now: do you have a favorite composer or musical period? THOMAS CRAWFORD: J. S. Bach. Period. STEPHANIE CHASE: Okay, and I’m with you on that one, but what are some of the reasons? THOMAS CRAWFORD: Admittedly, it is because I happen to be an organist, and Bach’s organ music is far superior to that of any other composer before or since his time. But as a composer, I recognize that Bach was the ultimate craftsman. Yet, other than in the theoretical compositions late in life, he managed to achieve both the technique and the art simultaneously. As such, it is the deepest and most satisfying music to play or to hear. It encompasses the widest range of human emotion and thought. STEPHANIE CHASE: For an organist, to play his music must be a revelation. Lately I’ve been revisiting his Sonatas and Partitas for violin solo, which has been a wonderful experience in that, unlike most other violin music, they are complete works unto themselves. There is always more depth to discover and each violinist is in a position to interpret them in his or her own singular way. Bach leaves the dynamics largely up to the musician, and I find his use of deceptive cadences amazing. And he often resolves a movement harmonically but then adds a coda that is full of tension before once again reaching the cadence that completes the movement. Additionally, I’ve been pondering the movements’ tempo relationships and pulses – in pre-metronome times this relates to things like the heartbeat and breathing. There are so many aspects to his music that reveal genius, and I am always impressed that his longest fugue was written for violin; in other words, four fingers, four strings and one bow versus the possibility of an organ work played with ten fingers and two feet! What are some of the interpretive distinctions that you make between the music of, say, J. S. Bach and Beethoven? THOMAS CRAWFORD: While only a generation apart, the two composers worked in drastically different environments, and their music reflects this. Both composers had vast pallets of human emotion and intellect. But Bach worked for the church or the court, with deep Christian purpose, and humility toward God. Beethoven never worked for an institution, had higher humanitarian aspirations than traditional churchmanship, and sought to break forth with a romantic revolutionary spirit. STEPHANIE CHASE: Also, the nature of music and the instruments used for it was changing dramatically during Beethoven’s lifetime. For instance, it was only just prior to 1800 that the fortepiano began to surpass the harpsichord in popularity, in part because the sustaining pedal had evolved. This also coincides with the development of the so-called modern style violin bow, which can more easily produce a sustained sound than the Baroque or transitional bows. THOMAS CRAWFORD: Yes, sometimes I lament that the period instrument movement, in order to gain wider favor, has tended to lump ALL music prior to the late nineteenth century as period music. But the truth is that a baroque oboe is as different from a classical one as it is from a modern one. My American Classical Orchestra is the only orchestra in the U.S. principally devoted to the Classical repertoire and its instruments; that is, Haydn, Beethoven, Mozart. STEPHANIE CHASE: Yes, that’s an important distinction. The Philharmonia Baroque Orchestra, which is based in the Bay Area, offers historically informed performances of several styles of music but is generally focused on Baroque music. THOMAS CRAWFORD: But it is virtually expected that we can mount baroque works just as easily, and with the same players performing on baroque instruments instead of classical. It is not so simple. The bows are different, the reeds are different, the sound is different! STEPHANIE CHASE: On this topic; until fairly recently, pitch standards – by this I mean the frequency used for tuning – were regionalized and were likely influenced by local measurement standards. At the end of the 19th century, Verdi advocated for A=432 cycles per second, but over the 20th century it was raised, to the extent that Austria and Israel are at least A=443 cps and most other countries are between 440 and 442 cps. What is so informative about the early instruments is that, unless they’ve been altered, they can reveal quite a lot just through their construction. Most period players now use A=432 for Classical era performance and A=415 for Baroque music, but French Baroque pitch is even lower. For string players, and I suspect everyone else, this affects the placement of semi-tones. It can make intonation a bit of a challenge, but if this is overcome there is something especially beautiful in the purity of the pitch. THOMAS CRAWFORD: Actually, we know most about historical pitch from the pipe organs and the wind instruments. While a string instrument can be tuned to widely varied pitches, a baroque oboe cannot, and of course the large, stationary organs had pipes that were set at a certain pitch with only slight capacity to alter that basic pitch. STEPHANIE CHASE: Sometimes pipes were added or moved in an organ to alter the pitch, but usually this change is pretty noticeable to a pitch detective! THOMAS CRAWFORD: Yes, and we do know that pitch varied from town to town and organ to organ. The standardization of baroque and classical pitch to exactly 415 and 432 cps is unfortunately a “chain-store” factor in modern times. Even though there is evidence that some of Bach’s music while in Weimar was actually performed at a much higher pitch than our modern day 440cps, that was an exception. In general, sadly, pitch has crept up over the centuries, with some opera companies in Germany clocked at 447 cps, much to the singers’ protest. STEPHANIE CHASE: That must be so difficult for guest artists coming in to sing, who are accustomed to the notes being produced with a certain technique but then have to alter it! And apropos of pitch; I learned, not all that long ago, that as part of his platform the politician Lyndon LaRouche strongly believes that musical pitch should be regulated to 432 cps. His followers in Houston often come to my concerts with the Music in Context ensemble, where we play Classical-era music at that pitch standard. It’s an unusual fan base. I would imagine you have many career highlights, but for me a very remarkable concert was the one you conducted at the Cathedral of St. John the Divine in New York, which featured Beethoven's majestic Ninth Symphony performed by the ACO. It was an immensely moving event. What was it like for you? THOMAS CRAWFORD: People tease me that they heard the concert nine times, referring to the nine seconds of echo in that huge cathedral. A sophisticated sound system helps, but the purpose of this concert was to celebrate the ACO's 25th Anniversary, my own long-time use of children's choirs – three fine choirs joined forces – and I added dancers in the aisles! We sold-out the huge cathedral for the event, which was gratifying. But this year, seven years later, we played the Beethoven Ninth again, at Geffen Hall, this time to the greatest ovation of my career: nine minutes of bravos. It felt like a certain coming of age of the early performance movement in NYC. Period instruments and the Ninth Symphony stir the emotions as no other music can. STEPHANIE CHASE: Congratulations for this great success, it must be so gratifying! And while we’re talking about Lincoln Center, are you encouraged by the fact that The Juilliard School, for instance, has quite recently developed a Historical Performance program? THOMAS CRAWFORD: So much so that I am purposely incorporating these young graduates into our orchestra little by little. The main reason I founded the ACO way back in 1984 was that clearly there was not enough paying work for players. Learning the craft of performing classical music with integrity needs to be more than just a passing pursuit, as players graduate and need to find enough work in order to continue to hone their skill. STEPHANIE CHASE: What a wonderful opportunity for these young players. I remember the old days at Juilliard, when everyone’s apparent goal was to be a soloist and playing in an orchestra or chamber music ensemble were, for the most part, tolerated but not viewed as desirable careers. Your remark reminds me of a wonderful comment in the foreword of a book that I have on the history of mathematics, which makes a distinction between training, or learning to manipulate numbers and ideas, and education, in which the context is equally important. In music, this would be a distinction between a player with technical facility but little musicianship – or as you say, integrity – versus someone who uses the technical expertise as a means to a musical end, that being a mature, personal and carefully considered interpretation. THOMAS CRAWFORD: The meeting of heart and mind, soul and technique are at the center of an artistic experience. We all wrestle with the readiness to transmit and receive vibrations at any point in our lives. In music, we’ve all known technically proficient players who leave us cold, and untrained amateurs who move us to tears. For me, I don’t have to worry about my capacity to be swept away by music because that gift is a strong in me as it was in childhood. But, generally speaking, the more knowledge I acquire and more I work at things, the merging of my heart and mind leads to a richer experience. I’m told that I am a good communicator with both professionals and amateurs alike, hence the new ACO Concert Preview program at our concerts. People come early by the hundreds to hear my explanations and demonstrations of the music they are about to experience at the concert. STEPHANIE CHASE: That is a real art in and of itself, because you are giving a context that can deeply enhance their listening experience. THOMAS CRAWFORD: Next up we do our first-ever performance of Mozart’s greatest choral work, the C Minor Mass K. 427. The blend of voices with period instruments is a profound thing, a revelation of where this music came from: the human voice, then the instruments made to perfectly blend with singers, not compete. STEPHANIE CHASE: The inspiration of the voice, for many composers, is such an important idea. And in an exchange of letters between Wolfgang Mozart and his father, Leopold, who was an important violin pedagogue, they discuss the vibrato and how it should sound like a naturally emotional voice; this is also interesting in that clearly musicians were using vibrato at that time! As a violinist, lately I have really gotten into the whole idea of cantabile music and how we need to play it the manner of a great singer, from shaping long sounds to shifting with portamento [literally, “carrying of the voice”] and avoiding a break in the sound’s timbre. To change the subject: Like many nonprofits, the American Classical Orchestra has an outreach program in which you visit various New York City schools and give “informances,” or a combination of speaking and playing for the students. What are you goals in presenting these? THOMAS CRAWFORD: ACO has an award-winning children’s program called Classical Music for Kids, now in its 18th season. Among the many rewards of doing this work, highest on the list is to see the reaction of children who have never heard Mozart. Why? Because of course their parents wrote off classical music themselves. But the children don’t know and don’t care when the music was written, or who wrote it. As far as they are concerned, Vivaldi is still alive, and indeed he is! STEPHANIE CHASE: Your comment reminds me of a concert, some years back, presented by the violinists at the High School for Violin and Dance in the South Bronx. This is a charter school that replaced, in part, what had been the Morris High School. The students displayed tremendous discipline – and pride – in their presentations, which started with simple Suzuki tunes and advanced to things like Vivaldi and even jazz, and I’ve never forgotten two boys who took to the stage with a swagger and played Vivaldi like it was the greatest rock music ever. In reading the program I learned that they were just completing their freshman year – in other words, they had made an amazing advancement in that they were total beginners the previous September and by June were playing this music! Something really clicked for them. THOMAS CRAWFORD: A few years ago, we did a Beethoven program at an adolescent charter school in Harlem, and since all the students came into the room with preconceived “attitude,” I quickly realized that I needed to completely reset my method for reaching them. They were no more interested in a dead-white-European-male than the man on the moon. Being a rock musician who listens to heavy metal music and rap, I decided to appeal to their love of music and pride in culture. I said that I had recently listened to a rap song by a famous rapper, that I was into it, but that when I listened to additional tracks by this same artist, I was bored. I explained that the artist's emotional range was extremely narrow: literally all of the songs were in the same key, in the same exact tempo, in the same dynamic, and in the same texture of voicing and instruments. In short, the only thing really different from song to song was the words and skill of the rapper's use of words. I then appealed to the students that if they love music and life, they might consider that music like life exists over the entire spectrum of human feelings, thoughts, and reaches. This is the ideal entree to Beethoven. He can be violent. He can be tender. He can be in your face. He can be reclusive. He can be loud. He can cause you to strain to hear to softness. Do you want your music to be so limited as to only draw one emotion from you? Look deeper please, if you are so proud of your love of music. Well, that time it worked: the room went quiet. They listened to what Beethoven had to say for the first time in their lives. Truth is, of all the labels we reject, it is the one that “classical music all sounds the same” that offends the most. What? STEPHANIE CHASE: Exactly! And what an inspiring story, on so many levels – you really hit the nail on the head about some of the limitations of popular music. For me, even the amplification of live concerts tends to erase any sense of nuance. Well, from Baroque to rock music and a lot in between, we’ve had quite a journey! It is an honor to have this conversation with you, and I am so grateful for the opportunities you have given me to perform with you; they are always a wonderful and stimulating experience. And as the ACO nears its 35th anniversary, best wishes for the next 35! On February 8, 2018 in Alice Tully Hall in Lincoln Center, Stephanie Chase will appear as guest soloist and leader with Thomas Crawford and the American Classical Orchestra, in music by Bach, Corelli, Handel and Vivaldi performed on Baroque instruments.